I was blog surfing the other day trying to think of some cards for my Christmas Stamp-a-Stack...I know I still have 2months but I dont have a lot of time to stamp...anyways I came across a card that I just loved. I knew I had to case it. So I emailed the lady and asked her if I could steal the idea for my class and she said Of Course! Feel Free! So thats what I am doing. I did change the color a little bit, but otherwise its pretty much the same card. You can check out her blog here. Let me tell you.. I am SOOOO glad I bought this stamp set. I wasnt real crazy about it... well I should say I really liked it, but couldnt see me using it that often. Well it was on sale so I thought what the heck. Now I love it. I havent had a ton of time to play with it as I have to make 80 save the date cards for a relative and havent really even made a dent in them yet but I did do one card. The blue background is a piece of paper that I used to take the picture on. I really like this card dont you? 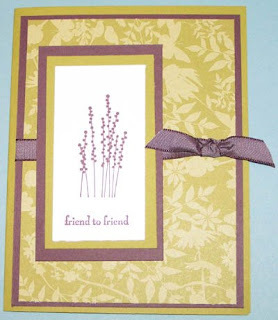 I used Kiwi kiss and Chocolate Chip paper, the new Urban Garden DSP and Chocolate Chip ink and taffeta ribbon. It was super simple to put together. 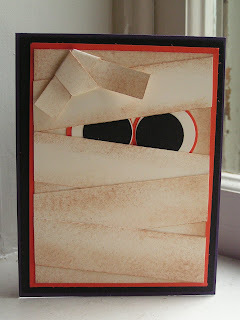 This is one of the cards we will be making for my World Card Making day class. 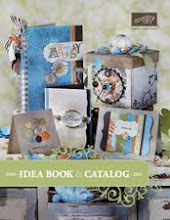 To check the date and time visit my calendar at laurafiske.stampinup.net. If you would like to come just shoot me a message and let me know. 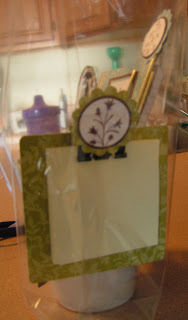 I also made this post it note holder. I really like how it turned out. 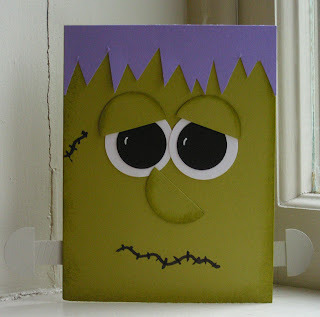 Its the first one I ever made and its still missing a magnet on the back as I keep forgetting to get some when Im at the store...hopefully Ill get some soon. I again use the Pocket silhouettes with Urban Garden DSP and chocolate chip ink. I used the scallop punch to punch out the Dsp to cover the Binder Clip. 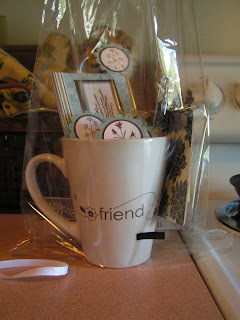 I then used my circle punches to punch out the brown circle and the stamped image. I actually am not using that bright yellow paper, I have some "normal" dull yellow post it notes that I am using instead. I just didnt have them when I took the picture. I also made a matching pen using the Urban Garden paper to go with the post it note holder. I love this little set so much maybe Ill make a little stationary set out of it. hmm...... guess I better get the Save the date cards done first. Then I can play more. It gives me good incentive. My fabulous upline is offering this scavenger hunt. She got the idea from a Fantastic Demo named Aly Schilling. She liked it and decided to use it and I have no decided to offer this scavenger hunt as well. Stampin UP is celebrating their 20th Anniversary this year and I'm so excited about it, I'm offering you a scavenger hunt. What's it all about you might ask?Well.........This promotion will run from now until June 30th 2009.Through out the year I will be placing these 20 year emblems on items and handing them out. This is the emblem that you will look for. *Any time you refer a new customer who places a $25.00 or more. * And any other time that I see fit. *Getting bookings at their workshops and more! 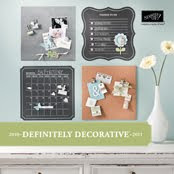 So you will definitely want to host several workshops through out the year. So why am I collecting these emblems? 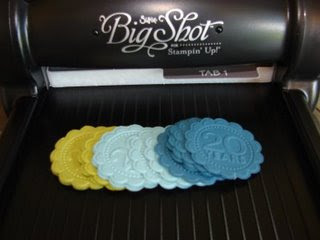 When you collect twenty, 20 year emblems, I will give you a $20.00 Stampin Up! Gift Certificate! 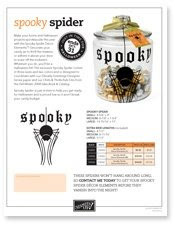 *You can only receive one $20.00 Gift Certificate through out the year. If you collect 40 emblems, you will not get $40.00. *You must keep track of your emblems. I won't be writing down who gets what. If you loose them, I will not replace them. I suggest that you throw them in a Ziploc bag and keep them in your catalog. Have fun and get collecting your emblems.